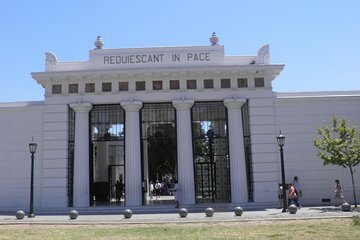 Get an inside look at Argentina's most famous graveyard with a tour of Recoleta Cemetery. Follow a guide through the maze of elaborate tombs and headstones to see the final resting places of famous artists, former presidents, and legendary first lady Eva Duarte de Perón. With included hotel pickup and a coffee break at a historic cafe, it's a great way to the most out of a visit to this hallowed Buenos Aires landmark. We will pick you up at the hotel you specify.